Compatible with WPML, WooCommerce 3.0.x, Visual Composer 5.1.x, Bootstrap 3.x. Cariera has been tested with browsers IE9, IE10, IE11, Firefox, Safari, Opera, Chrome, Edge. 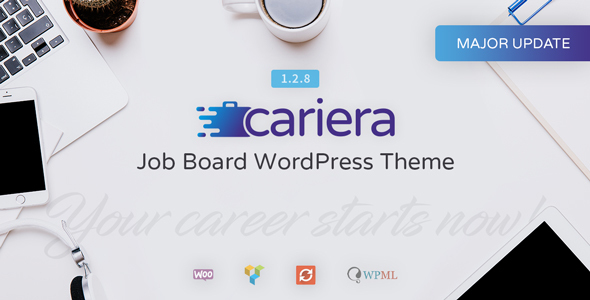 Theme Cariera - Job Board WordPress Theme has the following features: Fully functional Job Board Theme., Post, manage u0026 filter your jobs u0026 resumes., GDPR ready!